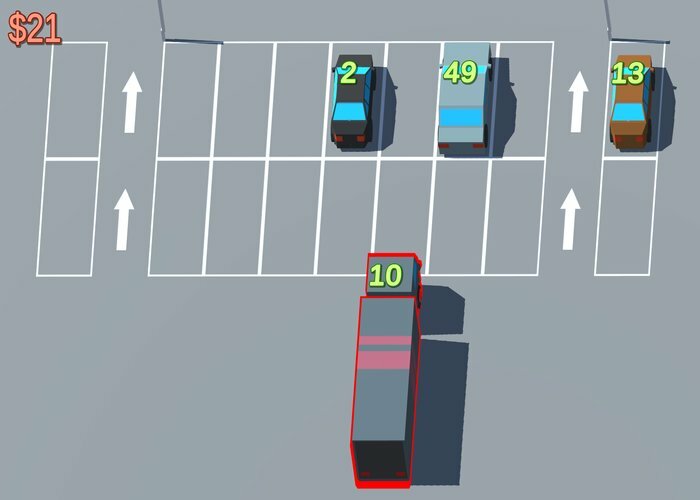 "A colorful puzzle game about directing traffic"
Parking Spaces is a bright puzzle game where you have to direct cars, trucks and other large vehicles in to parking spaces but you will also have to move them around correctly and workout which is the correct spaces without allowing them to crash in to each other or the barriers. 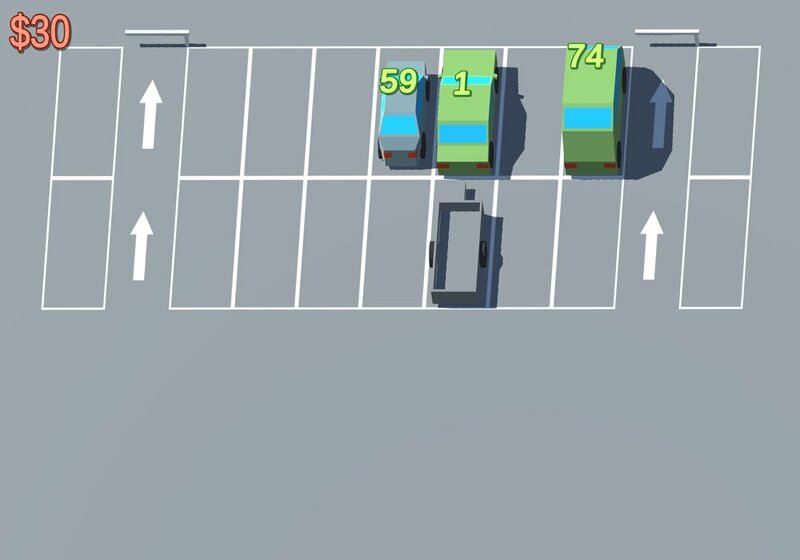 When each vehicle pulls up some will ave a tier showing how long they need before they move of from the car park so you must make sure that the area in front of them is clear and that they do not park behind a car that won't move off before they do. The game is more challenging than its simple aesthetics may have you believe and you will have to think fast to make sure the vehicles move in to the right place, you will also earn money for parking the vehicles and the longer you manage to keep all of the automobiles balanced in Parking Spaces without crashing (one crash will lead to a game over) the more money you will earn. 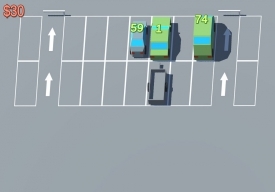 A simple looking but challenging puzzle game that was made within the space of 8 hours for a recent game jam, you can download Parking Spaces here for free.